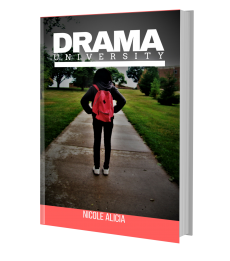 This excerpt is taken from Chapter 2 of my upcoming novel, “Drama University” soon to be released on November 14, 2017. Pre-ordering will be available soon! 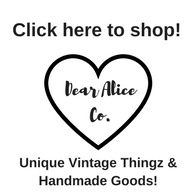 Sign up for my mailing list (Click here to sign up) to stay informed on what’s coming up next from writer Nicole Alicia! “Hold on,” I breathed into the receiver. I dropped the phone to go shut off my alarm so I could hear. “H-h-ello,” I managed to answer, now out of breath. “Hey, what’s up?” A low voice, replied. I let the brief awkward silence sit there between us. I rolled my eyes and got up out of the wooden desk chair I was sitting in. “Yeah whatever,” I said reluctantly. “Yep, see ya later, love you,” he said sweetly. “I love you too.”, I said back and hung up. I exhaled and slowly breathed out all my frustration from yesterday. I was relieved now. As a freshman, the school requested that you arrive one week early from the “upperclassmen” for freshman orientation. They had tours of the campus, classes that taught you everything you needed to know about the school and college life. Orientation was called “Getting the Most out of Your College Experience” according to the pamphlet that came in the mail with my room assignment. In the informational packet I had read in the mail, it just looked like all it should be called, where to go for this, who to go to for that, what residential life was like and on and on. But, I guessed that was too long of a title for it. Before I left home I went shopping to gear up for the whole first week of orientation and my first week of college. I planned out every outfit down to my shoes and accessories. I was hell bent on dressing as cute as possible. I didn’t really have a thing for clothes. I was never the best dresser. I just kinda went off what the other girls wore and did my best. The whole thought of having to be out and about amongst my peers, students I had never met before kind of made my stomach feel funny though, but I was definitely excited though. Although I would say I was quiet, I was going to let my clothes speak for me. Hoping to blend in since I was way taller than most females my age and had been since about 6th grade. At 5’7, and 120lbs the only thing I was really worried about was standing out like a sore thumb. I was always being teased in school, but I was hoping since this was college, things would be different. You know, a more mature crowd. After getting dressed, I grabbed a Rice Crispy Treat and a Capri Sun out of my stash and headed over to the Student Union about 8:50am. I entered to finding a ton of students lining the noisy, atrium. Certain students were holding up signs that read in big bold letters, A-F, G-L, M-R, S-Z some were shouting the group of letters they held up on their signs. I hesitantly maneuvered through the crowd until I was sort of close to the sign that said S-Z. I tried to stand closest to the outside of the group of students standing there. There was a group of about 100 plus students standing around a guy with brown hair, wearing a black polo with the school’s logo in the corner of the shirt. Some students were conversing with each other, others stood there looking around with that lost look on their face. Which was probably how was looking also. I grabbed my phone and pretended to look occupied, which I thought may look better than looking around lost and clueless. After about 15 minutes of standing there, our group started to move toward the doors headed out to where the rest of the campus was. Time was dragging that day. I had occasionally seen Xavier and his best friend, Mark on campus with their group between sessions and in passing breaks in between the “informational sessions” the first day. He would nod what’s up, and I’d throw up my hand and give a cute little wave every time. X was looking fresh, as usual. I didn’t mind telling my newfound acquaintances when they asked who that was. He had one of the new red Marc Ecko shirts on I had bought him this summer, with some new white Nike Air Force 1’s and crisply pressed khaki shorts that hung so low, all you could see was his socks and shoes. His hair was freshly faded, with his one diamond earring shining. My eyes moved from his feet him up as he passed. I took a mental picture just to save in my memory for later. It was funny, his crew all pretty much dressed the same too. Somehow they had managed to all end up in the same orientation group. All four of them grew up together and went to the same schools together up until Xavier moved and started going to my school freshman year. Mark was Xavier’s best friend since kindergarden. I was introduced to Mark officially about a year ago. Xavier and I had just started back dating again, after breaking up for only the second time. We went on a double date with him and what I liked to call his “girl of the week”. Mark was comical and a so called “player”. He had all the flash and flair that a 17 or 18-year-old girl would be attracted to. Since I had known, Xavier he talked about his boy, Mark. He was about the same height as Xavier, mahogany brown skin, with light brown nearly hazel eyes. He was clean cut and I had never saw him anything but designer brands. He always had a different girl every time we double dated with him, which was basically every month. Mark was obviously, a firm believer in the phrase, “exploring your options”. From what Xavier had told me about him, I could see why. He was spoiled rotten by his wealthy parents and was the baby of the family. It was very plain to see he got what he wanted basically. Anthony and Craig I knew little about. I thought I once overheard Mark say in conversation with Xavier that “Anthony was spoiled too.” Mark was cool with me. His personality was goofy and he was definitely a comedian. When I came around the other guys, barely nodded to acknowledge my presence. I figured they could give or care less, who I was. Mark always joked around with me winking and waving, which always caused X to punch him in the shoulder, and say “Aye, man that’s my girl!” Which I in turn, smiled and we laughed together about. Every time I would see Xavier and his crew on campus, Mark is always be talking to some girl while Xavier tags along behind him. Sitting and listening to all these professors, administrators and upper classmen talk for hours and hours in orientation was exhaustingly boring. All I was looking forward to right now was the end of the week there was supposed to be a party. I hadn’t heard or seen much of Xavier except in passing this week. It was Thursday night already. I had been calling his room most nights and getting no answer. When I’d call his cell, he would say, “I’ll hit you back in a minute.” Which wasn’t happening. I was trying to play it cool though. We had been so close our last semester of high school and over the summer months. Talking almost every night, sometimes just sitting on my back porch and talking, until midnight or I had to come inside. I was starting to have flashback scenes of “Love and Basketball” flow through my mind. I fantasized that things would be different this time. I mean this was only the second time we had broken up and started dating again.